Mechanical Engineering Technology is the application of engineering principles and technological developments to the creation of useful machinery or products. Coursework is less theoretical, and more application based (“hands on learning”) with more lab experiences than a traditional mechanical engineering science degree. Employers like Honda, Goodyear and others, prefer the hands on approach for their companies Engineering Technicians. Having the theoretical and applied learning skill set makes you more versatile for a company. Starting wages in engineering science and a engineering technology graduate are similar. 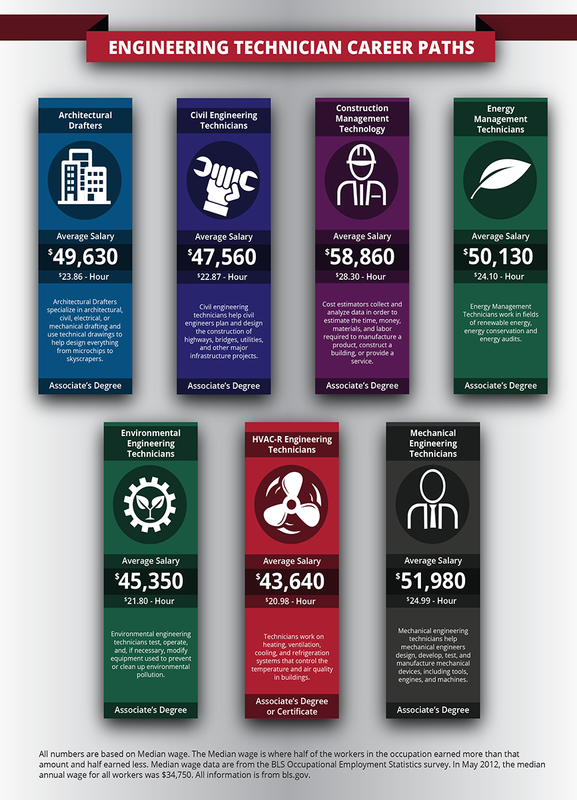 If you would like to further your education, our program graduates have success in the Mechanical Engineering Technology programs and are sought after by local universities: University of Dayton, and Miami University. Many of our students outperform the "home grown" university students since Sinclair's MET program is more of an applied learning exposure. Why major in Mechanical Engineering Technology? The degree program encompasses the complete Design, Build and Understand process that prepares you to move into the manufacturing/ mechanical engineering industries or you can choose a path to continue your education at a university. The Build skills you will gain are based in the manufacturing and mechanical design environments. You will learn how to assemble and make items. Some of the projects that our department is involved in is the Baja buggy racing program. Students design and build a Baja buggy racer to compete against other schools nationally. The Mechanical Engineering Technology program was one of the first community college programs to instruct on additive manufacturing techniques in the United States. in 1998 our program acquired our first prototyping machine and trained students on the usage. Today we provide student access and training on usage of industry additive manufacturing machines in many classes. Look for a certificate program in Additive Manufacturing launching Spring of 2017. Students also have the opportunity to participate in the STEM guitar building project which manufactures and assembles solid body electric guitars. Our students have an elective class that has them customizing and constructing a solid body electric guitar. This project and class teaches the Math, Science and Engineering Technology behind the electric guitar. Our Shop manufacturing guitar kits that are shipped all over the United States so that students from middle school through universities have the experience of making their own instrument. The Drafting and Design Technician Certificate is an introduction to the industrial design process and computer-aided drafting and design. Students are exposed to the latest versions of AutoCAD, Solidworks, Unigraphics, and SolidEdge Basics. This program provides the skills and training necessary for introductory employment in the engineering field, including engineering aid, design draftsperson, or CAD operator. The Mechanical Engineering Technology Associate degree program is accredited by the Engineering Technology Accreditation Commission of ABET. View program enrollment and graduation statistics.